In the minds of historians and the American public alike, Franklin Delano Roosevelt was one of our greatest presidents, not least because he supposedly saved America from the Great Depression. 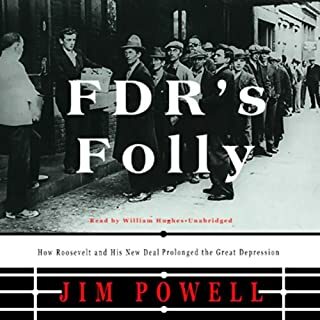 But as historian Jim Powell reveals in this groundbreaking book, Roosevelt's New Deal policies actually prolonged and exacerbated the economic disaster. FDR Goes to War expands on the premise that FDR's legacy has damaged America and helped lay the groundwork for the current economic crisis. The Folsoms continue to expose the idyllic legend of Franklin D. Roosevelt as a myth of epic proportions. Many government programs that are widely used today have their seeds in the New Deal. In this shocking and groundbreaking new book, economic historian Burton Folsom, Jr., exposes the idyllic legend of Franklin D. Roosevelt as a myth of epic proportions. With questionable moral character and a vendetta against the business elite, Roosevelt created New Deal programs marked by inconsistent planning, wasteful spending, and opportunity for political gain---ultimately elevating public opinion of his administration but falling flat in achieving the economic revitalization that America so desperately needed from the Great Depression. Folsom takes a critical, revisionist look at Roosevelt's presidency, his economic policies, and his personal life. Elected in 1932 on a buoyant tide of promises to balance the increasingly uncontrollable national budget and reduce the catastrophic unemployment rate, the charismatic thirty-second president not only neglected to pursue those goals, he made dramatic changes to federal programming that directly contradicted his campaign promises. Price fixing, court packing, regressive taxes, and patronism were all hidden inside the alphabet soup of his popular New Deal, putting a financial strain on the already suffering lower classes and discouraging the upper classes from taking business risks that potentially could have jostled national cash flow from dormancy. Many government programs that are widely used today have their seeds in the New Deal. Farm subsidies, minimum wage, and welfare, among others, all stifle economic growth---encouraging decreased productivity and exacerbating unemployment. Roosevelt's imperious approach to the presidency changed American politics forever, and as he manipulated public opinion, American citizens became unwitting accomplices to the stilted economic growth of the 1930s. More than sixty years after FDR died in office, we still struggle with the damaging repercussions of his legacy. This was one of the more interesting and well researched books I have listened to this year. As I was listening I was so surprised at some of the information in the book that I stopped listening so I could do some independent research before continuing to listen. Frankly, I just didn't believe some of the stuff could have gone on in this supposedly free country but it was easy enough to confirm the facts in the book. I'm shocked to find myself so uneducated about this time period, being a college grad and having taken US history in college, read numerous books about the depression era and even a bio or two of FDR. 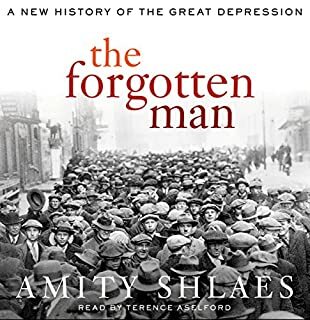 Everyone should read or listen to this book as it provides an excellent analysis of how FDR extended the depression with insane price controls that landed small business people in jail if they didn't follow them. Talk about micromanaging. The government told dry cleaners how much they could charge for cleaning a shirt. They told people who sold chickens how to sell chickens and that people were not allowed to select the chickens they wanted to buy. (They had to take the first one they happened to touch). Eventually, this policy and other policies of Roosevelt's administration went before the Supreme Court and was overturned. Roosevelt apparently got reelected because he managed to get so many citizens dependent upon the government that they couldn't risk not voting for him. This is a book I will listen to more than once. Narration is also very good. Not really bashing FDR...but uses facts to debunk the myths we have been force-fed since infancy. That is, the New Deal saved democracy. Far from it...it just about destroyed the free market system and left us with out of control government programs. 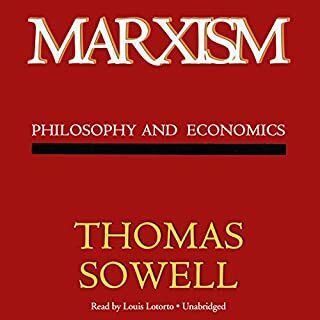 When I started listening to the introduction to this book, I thought that it would soon become only the second Audible book that I could not complete. The person reading had that sneering, sarcastic voice usually reserved for attack ads in political campaigns. Here comes an ideological attack on Roosevelt. What I was looking for was a balanced view of the effect of the New Deal on the Great Depression. Great American presidents most of the time quickly become mythical. No one is perfect and can please everyone in his or her life. A minor example: most people in the country think that Lincoln freed all the slaves when he signed the Emancipation Proclamation. Nope. Just the slaves in the Confederate states. It was politically expedient. I have heard that FDR was a great president. Certainly a great war leader. But, taking over the country in 1933 in the midst of a terrible depression, what was being said about his "New Deal" projects enacted to fight the depression. Folsom was so upset, it seemed to me, that the New Deal programs were being taught as a successful way In which Roosevelt eventually pulled the country out of the depression. What I was taught in the late 60s was that Roosevelt's upbeat personality and calm Sunday radio addresses (call "Fireside Chats") had immediately raised the morale of the American people. His New Deal policies effectively raised taxes and used the proceeds to pay unemployed Americans to build public works as well as many minor positions and, in the case of farmers, to not grow crops to keep the prices up. I were clearly taught that the Good Deal, for all its positives, did not end the Great Depression. This was pretty obvious, really, since the unemployment rate was about as high in 1939 as it had been in 1933. The end was due to the onset of WWII. The US became grand arms seller to the world and everyone had to go to work to produce armaments as quickly as possible. Perhaps they are taught now, in a more "progressive" time for the media, that the New Deal did help economic recovery, without the factor of the war. Folsom, as I mentioned, was more balanced that I expected. He laid the blame for the recession solely at the foot of Roosevelt's predecessor, Herbert Hoover. He attacked the New Deal policies first as economically unsound because they took money from individuals and corporations, where the money could have been used to expand the company and hire more workers, and turned the funds over to state and local governments, where they often just created make-work jobs directed by vast patronage. Elections were decided by whom got the federal millions. As much as I was supposed to be enraged by the political corruption, at my age I would have been foolish not to expect it. The existence of the New Deal programs might have been the wrong strategy for ending the depression, But the corrupt way in which the programs were run probably were not a factor in their failure. And some good things came out of the New Deal public projects, such as highways, bridges, and schools, when they were well built. The second thrust of criticism did surprise me. According to this account, Roosevelt himself was in the thick of fighting his political enemies who opposed the programs in which he had so invested himself. Roosevelt was the first president to send the IRS on multi-year audits of his enemies, such as Hearst. He succeeded in sending one of his enemies to prison for three years. He made political appearances for his allies and tried to sabotage the elections of his enemies. He was not only unfaithful to this wife Eleanor, but he would ridicule her in public, counting on the media to not report his words. There are other accusations. If even half of them were confirmed, it would change my opinion of Roosevelt. As a product of the American aristocracy, I always assumed that, whatever else he might be, he was a man of great integrity. I never envisioned him rolling in the mud with Nixon and Lyndon Johnson. Yesterday, Today And Tomorrow In One Book! The Great Depression ended 60 years ago but we are still struggling with the effects of the New Deal. This books opens the blinders and gives you an education on what the New Deal was as well as a look at who and why it was created. You will understand the mindset of the people who tossed out the constitution and created the closest thing to a dictatorship we've ever had. When the separation of powers kicked in and other branches fought back they tried to take over those branches too. Civil Rights could have been passed 30 years earlier, the depression may have ended 10 years earlier and we may not be in the mess we are today if not for the New Deal. Once you read this book you will realize the the politics of today is a continuation of the politics of the last 100 years. A Must Read! I cannot believe how little I knew about the great depression. This book told me more about what is going on today than anything you will learn from the news. I grew up thinking FDR saved the nation. In my twenties, I was shocked to find that, one after another, the things I thought about the 1930's were wrong, especially concerning the nature, character and honor of our government. This title is a compendium of what is wrong with politics, as relevant today as it was in the 1930's. It leaves the reader thinking, "How did he get away with this? ", and causes you to think, "How can we fix this?" The issue is not how destructive FDR and the New Deal were, but rather, how this unfolded right under our noses. We hear politicians clammer today for a New New Deal today, and it leaves this listener thinking... are they FOOLS? There are so many parallels between Hoover/FDR and Bush/Obama, it is baffling. History with PROOF to back it up! The author handled this subject perfectly, sticking to facts without bias. The time to read this book is NOW as history is repeating itself word for word. The same playbook that originally made many strong Americans dependent upon government handouts is being employed yet again to finish the rest of us off. 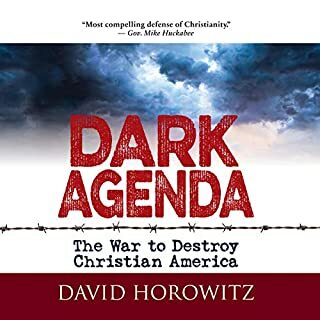 This is a well-narrated, well-researched book that helped illuminate a period that took place well before I was born even though its shockwaves still resonate very profoundly today. Nonetheless, I struggled with the audiobook initially because I did not know enough about the New Deal beforehand. 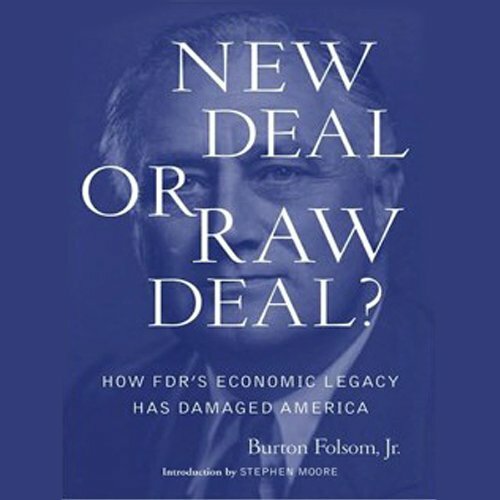 I first studied up on FDR and the New Deal itself and then this book complimented that knowledge, but I would not suggest this as a "New Deal for Dummies," sort of book. FDR, One Our Best Presidents? Ridiculous! Policy initiated by Woodrow Wilson and expanded greatly by FDR continue to haunt our nation. Voters not demanding character in the people in political office, will ultimately result in all of us paying a huge price in the loss of liberty. 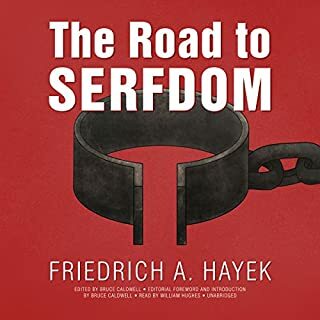 This is a great book that points out the fallacy of the great New Deal programmed that the conman FDR jammed down the throats of American citizens. Corruption at the maximum. I can't wait for someone to tell me how great FDR. That person will get an education. Where does New Deal or Raw Deal? rank among all the audiobooks you’ve listened to so far? Of the dozen or so books I have listened to this ranks in the top three. I can tell you who my least favorite character was - FDR. Mr. Sklar's presentation was flawless and easy to listen to. The telling of how FDR would set the price of gold - no basis just whims. His blatant racism and lack of care for people - totally opposite of what is taught. If you take the politics out of the New Deal - you would not have any deal. The New Deal extended the Great Depression by years as it was just one big experiment by an egotist who did not have a clue except how to manipulate. 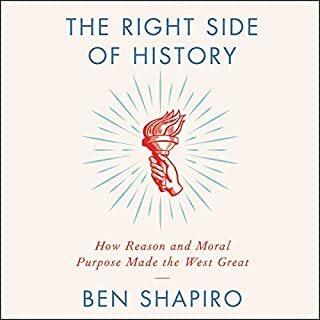 Those on the left would have a tough time listening or reading this book but it is worthwhile history.